Delight in these luscious chocolate brownies. 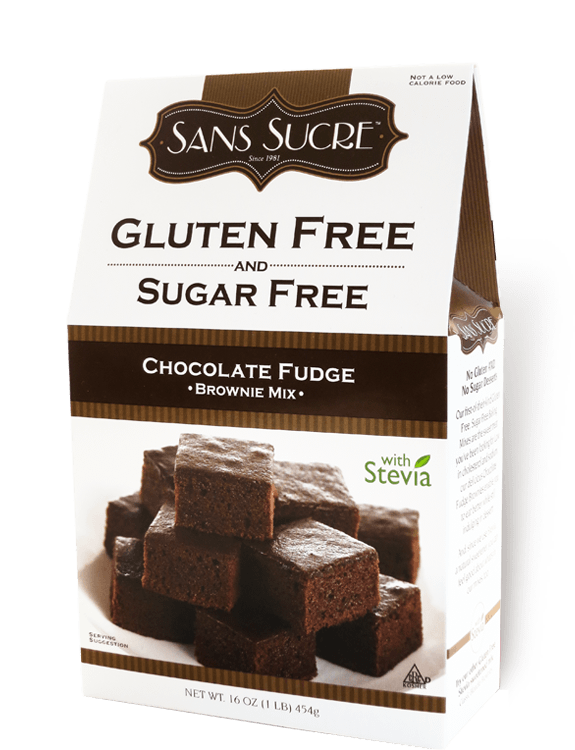 They may be sans the sugar and gluten, but they definitely have rich flavor thanks to small touches like using European-style Dutch cocoa. Preheat oven to 350°F for metal or glass pan or 325°F for dark or non-stick pan. Prepare 8″ x 8″ pan by lightly greasing or spraying with non-stick cooking spray. Blend water, oil and brownie mix in medium bowl (3 minutes on medium speed with electric mixer or 50 strokes by hand). Spread evenly in greased pan. Bake 35 to 40 minutes or until inserted toothpick comes out clean. Cool before cutting. Store covered. High Altitude (3500 – 6500 ft.): Increase baking temperature to 375°F or 350°F for dark or non-stick pan. 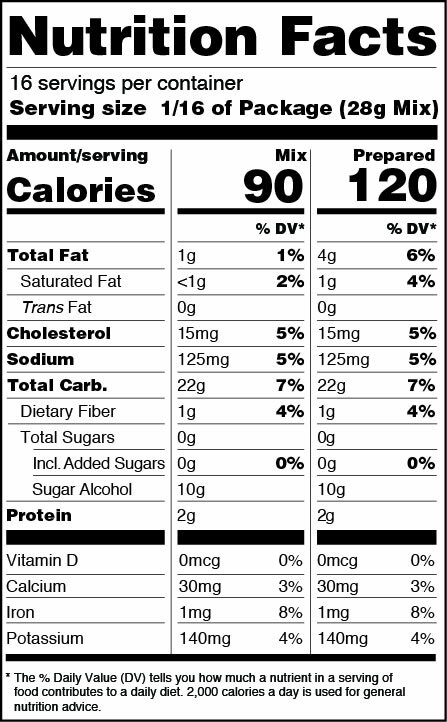 Ingredients: Enriched Rice Flour (Rice Flour, Thiamin Mononitrate, Niacin, Folic Acid, Iron), Sorbitol, Cocoa (Processed With Alkali), Maltodextrin, Whole Egg Solids, Egg White Solids, Salt, Sodium Bicarbonate, Monocalcium Phosphate, Natural Flavor, Xanthan Gum, Stevia Extract (Rebiana).